Astronomers just uncovered hundreds of hidden galaxies a mere 250 light years away — well within our own galactic neighbourhood. But how did they stay unknown for so long? The fault isn’t with them, it’s with our own Milky Way. The International Centre for Radio Astronomy Research just completed a survey, published today in the Astronomical Journal, detailing the hundreds of newly discovered galaxies—as well as giving a much better idea of where some older suspected galaxies were hiding. Altogether, they mapped 883 galaxies lurking behind the Milky Way; you can see an artist’s representation above. Scientists had some idea that there was something out there — but they didn’t know what. 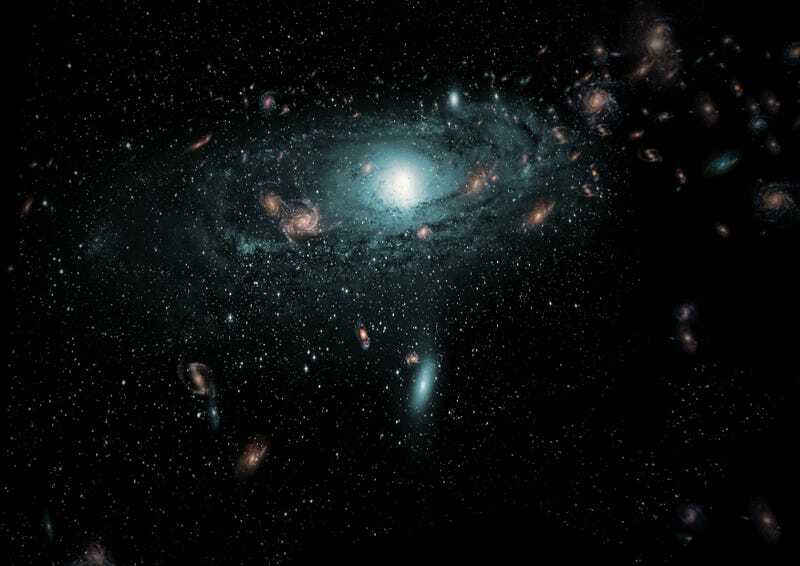 Some of the brightest clusters of galaxies were already visible, an even better clue, though, was a strange gravitational force pulling the Milky Way towards it. Astronomers have been aware of the mysterious pull—dubbed the “Great Attractor”—since the 1970s. So how did this all of this stay hidden for so long? That’s a map NASA put together of the Milky Way last year—and it shows that we’re blinded by our own galaxy. 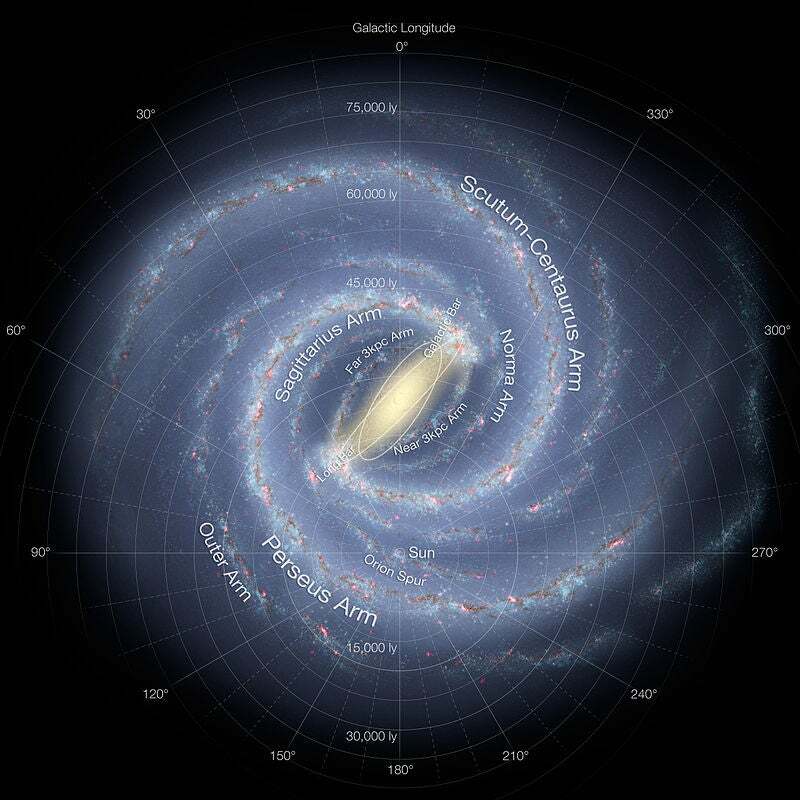 The Milky Way is dust and stars and light and gas and space, all swirled together into a spiral. It’s a beautiful, but limiting, place. Essentially, we can look outwards but we can’t see past ourselves—and the light those galaxies are sending out towards us gets lost in the brighter, closer light surrounding us. Of the 883 galaxies astronomers mapped there, a full third of them were completely unknown before. It’s an incredible reminder of just how much there is left out there for us to discover, even right around us.